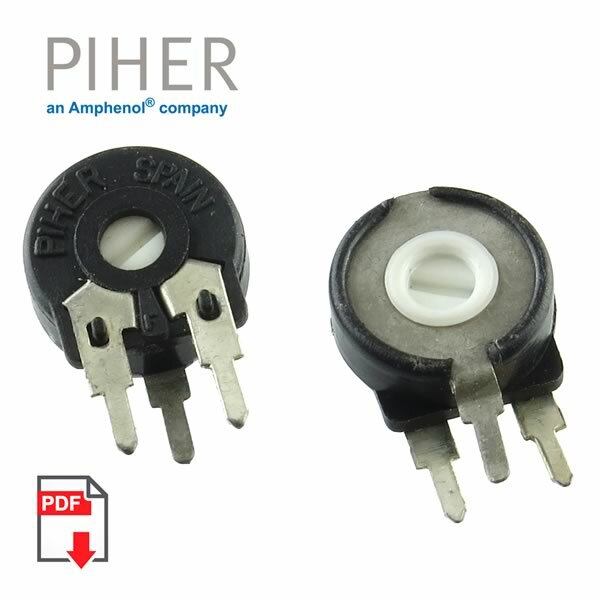 Prime Piher PT10 series 10mm linear taper 50K trimmer resistor. Has 20% tolerance and a nominal power rating of 0.15W. Carbon resistive element is housed in a dust proof enclosure. Vertical mount with horizontal adjustment slot on side. Size (excluding leads) is approximately 10.3mm (0.4") diameter x 4.5mm (0.18"). Has 3 leads for through hole mounting. Sold in a package of 10.